Woman’s Day recently put out a piece on a mom from Australia who is breastfeeding her daughter. Normally that wouldn’t cause too much of a fuss, but her daughter is 6 years old. Society has a hard time accepting babies breastfeeding , but throw in an older kid to the mix and people literally lose their minds. It’s strange people would lose their minds over a mother choosing to use her breasts the way they were biologically designed to be used. I was disgusted at some of the comments that were made about her I have compiled some of them to include in this blog. Here is a clip from about a year ago when she spoke out on why she chooses full-term weaning. Her daughter was five at the time. From the looks of the comments she is getting it’s clear how much work we have in our fight to normalize breastfeeding. Here are my observations on the comments. * “She will get bullied at school.” Funny because I do see bullying going on and it’s by the people saying that her daughter will get bullied except they are bullying the mom. They seem so concerned about the child being bullied yet all the while they are doing the bullying themselves. So they are absolutely right the uneducated people of the world may bully her, but since when do our fears about what other people think keep us from living the life we want to live? * “She can just pump and cup feed.” That’s usually one of the main arguments people try to make against full term weaning. Which time and time again as been debunked. Breastfeeding is not just about the milk. Think of it as a bottle. A toddler being attached to a bottle, isn’t the milk they are attached to it’s how they are getting it and with exclusively breastfed kids it’s directly from the breast. So pumping the milk would be irrelevant. Some women do not respond well to a pump. It either causes them pain or they don’t get much out. It could also have a negative effect on their supply since nothing in the world could duplicate human suckling exactly. * “She will need therapy because this most certainly has to be traumatizing.” What exactly is the traumatizing part about allowing the breastfeeding relationship to continue? Breastfeeding only works if it’s mutually desired. Which means both mother and child are choosing it. Unless a mother is force feeding their child breast there is nothing traumatizing about it. It’s natural and it’s the way nature intended babies and kids to be fed. * “That just can’t be normal or right!” Actually it is normal and it is the right way. We as a society have changed our outlook and views on what is considered to be, “Normal.” Biologically speaking the natural weaning age is seven all the way to eight. Over time it changed, but it’s actually a very normal way of life. It may not seem normal , but it very much is. * “There is no benefits breastfeeding a child after age two.” That is incorrect and there is a massive amount of information proving that breastmilk will still benefit no matter the age. Even body builders are getting in on breastmilk benefits and paying a pretty penny to get their hands on some. Just because a child can get their nutrients from other food sources it does not mean that they wouldn’t still receive the amazing benefits breastmilk has to offer. It is clear how uneducated or ill informed society is on breastfeeding. 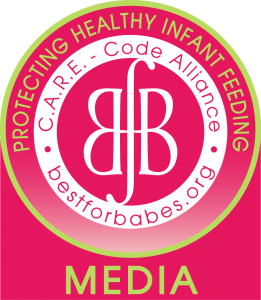 I have made it my life mission to bring awareness and inform the public on the truth about breastfeeding. Attacking a mother for using her breasts the way they were designed to be used is the only thing not normal and wrong about breastfeeding.